The Crooked Banana: I Did It!! It is SO hard to get a picture of a top this big! I wanted to take it outside, but it was wet and windy and I didn't want anything horrible to happen to it... I don't have stairs or anything in my house or a big floor space to lay it out (there will have to bee some furniture rearranging when I get to basting it), so I am standing on a chair. Fortunately, it was still relatively bright. Arizona is weird. This quilt was a lot of work, but I LOVE how it turned out. Just like I imagined it in my head. I actually finished it Saturday night so I was even ahead of schedule! Which was a really good thing because Sunday ended up being super busy and I had no time to sew at all. That was okay, actually, because after my quilt top finishing marathon Saturday, I was tired and my shoulders were protesting a bit from sitting behind my sewing machine all day. But! Don't care! It was worth it! Here are the cell phone pictures I snapped Saturday night when I finished. You can see the difference in color with the lack of natural light. I dragged it into my bedroom to see how it would look on my bed. Please excuse the mess! It is more than big enough for my bed, though, which makes me so happy! I am definitely going to have to change the teal curtains. They match my current bedspread really well, but I don't think they're going to work with these colors. Linking up to Let's Get Acquainted, which is being hosted by Bold Goods today! Hope your weekend was as productive as mine! 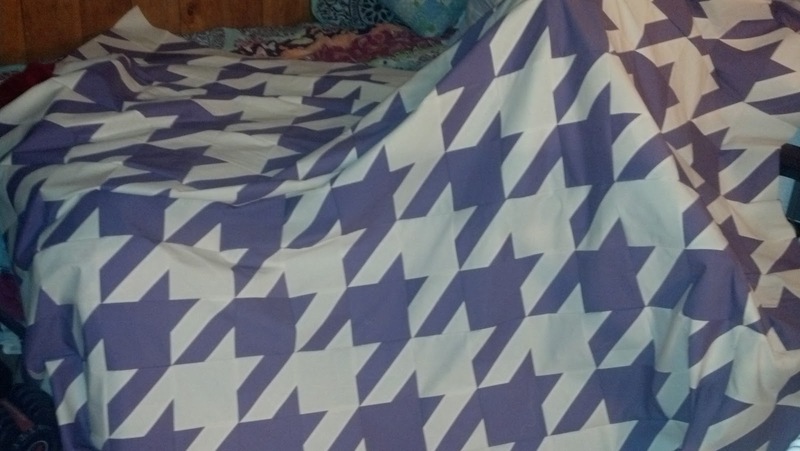 Wow, that is a huge quilt! I'd be so nervous to try to quilt something like that but I guess the only things I have quilted are a doll quilt and some mug rugs! Hi Anna, Visiting from Let's get aquainted Monday. I love the name of your blog. 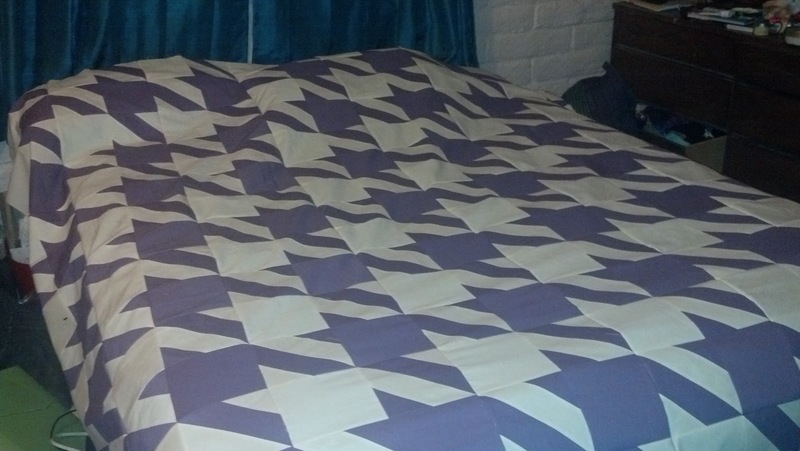 Your quilt turned out grand, in more ways than one. Holy garbage, that's HUGE! It looks wonderful! Gorgeous! This is so fun!